Waxing is rarely if ever enjoyable. It is the most dreaded part of going to the spa, but we willingly sacrifice a little comfort for beauty. And honestly, nothing beats that post-wax feeling of confidence and relief. Our Clean+Easy waxing products help your clients feel that same ease before, during and after the waxing process. Shop from our wide selection of Clean+Easy professional waxing supplies that are sure to provide your clients and aestheticians with a seamless experience. As its name implies, Clean+Easy products make the waxing process convenient, efficient and relaxed for your clients by catering to all of your waxing application needs. Terry Binns Catalog offers a variety of Clean+Easy waxing products, such as before and after treatments, roll-on wax cartridges, roller heads and paraffin wax. Use our clean + easy roller heads and wax for an easy, smooth and seamless application of Clean+Easy wax to provide your clients with a quick and painless spa experience that is sure to bring them back to your salon. With bulk pricing on Clean+Easy wholesale products that is sure to beat any competitor, Terry Binns Catalog provides everything you need to restock your salon. For use on legs, shoulders, arms, back and chest. Used to absorb any excess oil or moisture on the skin. 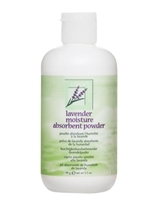 Enriched with Lavender and Ylang Ylang for their soothing properties. Pomegranates and Cranberries are full of phytonutrients which are known for their antioxidant benefits. Enriched with Juniper Berry, Fennel and Vitamin E to help purify, moisturize and condition the skin. This fragrant wax is formulated with Soybean and Cacao extracts, which are known to give skin a healthy glow. 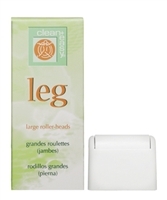 A pre-wax cleanser that removes any traces of oil, make-up and perspiration from the skin. An Aloe Vera Gel with Allantoin that instantly cools, soothes and helps reduce irritated or reddened skin associated with waxing. An emollient rich Wheat Germ Oil, removes any trace of wax remaining on the skin. 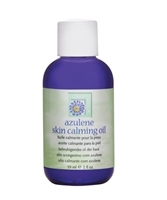 A soothing skin oil formulated with Azulene to calm and soothe irritated skin while removing any wax residue. 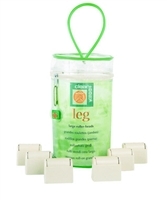 A créme wax for sensitive skin infused with Tea Tree Oil which is known for its healing properties Large roller heads are designed for larger areas of the legs, shoulders, back, chest and arms. An all-purpose wax, perfect for facial and body waxing. Ideal for sensitive skin for facial and body waxing. Twelve twin flat sheets each 66" x 104". Fabric is 60% Cotton and 40% Polyester for less wrinkles. 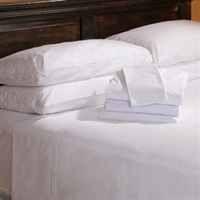 We recommend flat sheets for both the massage and facial room tables as they wash and fold quickly for those seeing a high turnover of spa customers. Each sheet is to be folded once lengthwise, then fits the standard tables nicely with a couple of inches hang-over. Brand: Golden Mills. Pillow cases are not included, however may be ordered separately. White Only.